Natural drugs play extensive role and are the basis of traditional systems for cure and treatment of diseases. Entomopathogenic fungi Cordyceps Spp. are one of the unique and valuable sources of bioactive compounds which help in treatment of various diseases like nervous disorders, cardiovascular diseases, tumors, ageing, hypo-sexuality, etc. A significant decrease in natural production of Cordyceps Spp. has been observed in the last few decades from protected biosphere reserves, due to thorough and illegal harvesting. This compels the necessity of artificial cultivation and strain improvement strategies. For identifying improved strains of the fungi, different methods using antifungal agents, UV irradiation and antibiotic compound have been carried out for effective selection systems. The two fungi did not show any marker when treated with UV-irradiated conidia for ammonia assimilation. Further when these isolates were treated with some antifungal agents, again no remarkable marker was found against any antifungal agents. Consecutively, an antibiotic hygromycin was also tested against the isolates. The gradient decrease in radial growth was observed on increasing the concentration of antibiotic from 200 to 900 μg/ml showing a radial zone of 15mm to 4mm in Cordyceps sinensis. While the isolate Cordyceps militaris is found to be highly susceptible showing no growth in any of the concentrations of hygromycin. 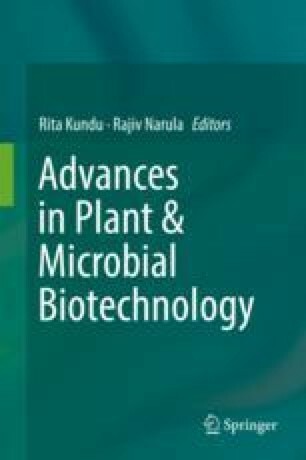 This may be the evidence for the presence of selectable marker gene hph in the isolates and can be used as a selectable marker tool for selection in the strain improvement of Cordyceps Spp. The authors owe huge gratitude to the Vice Chancellor, R.D. University Jabalpur, (M.P.). An eternal gratefulness to the Head, Department of Biological Science, R.D. University, Jabalpur, (M.P. ), for allowing the authors to complete this research. We thank Bio-Design Innovation Centre, Department of Biological Science, R.D. University, Jabalpur, (M.P. ), India, for providing facilities and funding to complete this research and bringing it to the world.